Being homeless with an addiction problem was not enough to shake Ricky Ferguson out of the downward spiral his life had taken. Not even a near-fatal gunshot wound could knock him out of his lethargy and apathy. Born and raised in Youngstown, Ferguson had wonderful parents and older siblings. After graduating from high school in 1985, he joined the Army and, while on active duty for two years, he started drinking. While serving in the reserves until 1995, he drank more. In 1989, his beloved father died, leaving Ferguson depressed. His drinking became worse and cocaine was soon a part of his life. The shooting in 1992 worsened his depression and need for alcohol and drugs. He was living with his mother and often in his car and he couldn’t hold a job. A Salvation Army nurse urged him to enter treatment at the Brecksville campus of the Louis Stokes Cleveland Veterans Affairs Medical Center, and it was there that Ferguson began to turn his life around. Seeing education as the key to success, Ferguson enrolled at Cuyahoga Community College (Tri-C®) in the summer of 2003 and did well. While in the VA hospital, Ferguson worked with the elderly through the Volunteers of America. That opportunity gave him a hint at the direction his life would take. 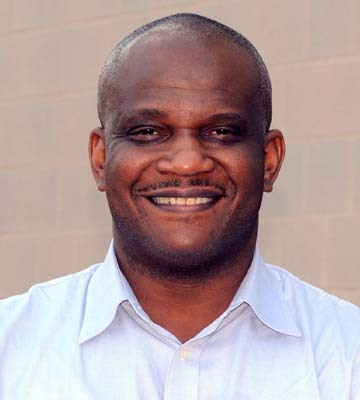 Discovering that he liked working with people and that people liked him, Ferguson pursued an associate degree in social work, which he earned from Tri-C in 2006. This once homeless veteran went to work for the Volunteers of America in the Road to Recovery Program and soon, as lead case manager, was helping direct men and women experiencing the same difficulties that he had faced find a better life. Ferguson earned his bachelor’s degree in social work from Cleveland State University in 2008 and a master’s degree two years later. Now, as executive director of Infocus of Cleveland, he helps troubled male teenagers taken into the county’s custody. The program aims to assist these young men in becoming responsible and productive citizens.